In every generation iPhone has its problems, and the current generation, iPhone 6 and iPhone 6 Plus, and no exception. Soon after the release of its flagship smartphone has appeared, that it is possible to bend the body with your bare hands. The source of information was the controversial video, sponsored by Lewis Hilsenteger from Unbox Therapy. 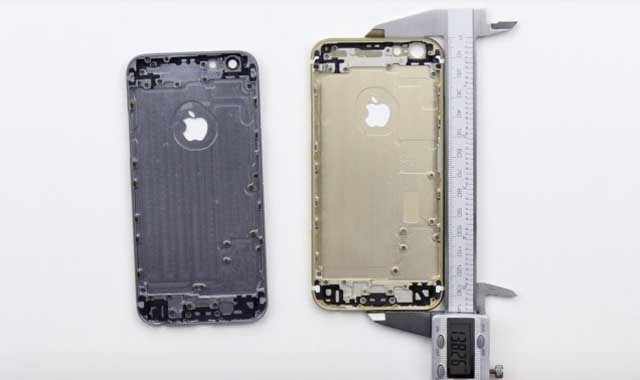 This time Hilsenteger learned rear panel of the alleged iPhone 6s and made some interesting findings. Apparently, in the new smartphones problems with excessive flexibility is not there - Apple has taken several steps to strengthen the body. The case is almost similar to the iPhone 6 model, but differs slightly in thickness. 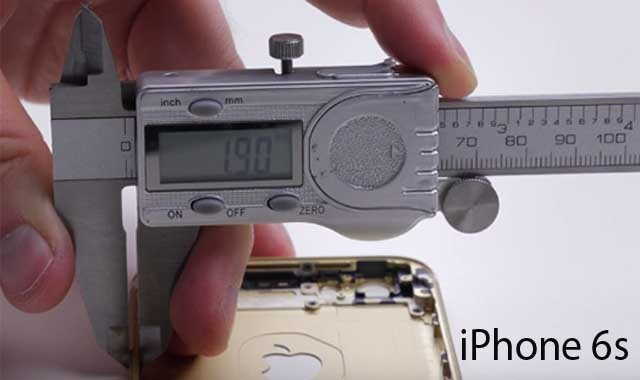 The thickness of the prototype - 7.1 mm, while the height of the ribs iPhone 6 is 6.9 mm. 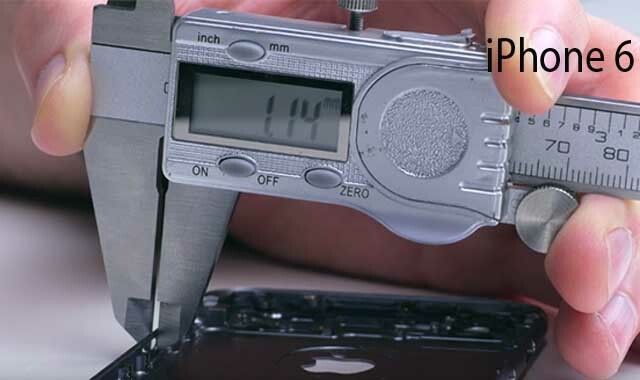 When comparing the iPhone 6s and iPhone digital caliper 6 showed the following dimensions: 138,2 x 67,16 mm for the first and 138 x 66,91 mm for the second. It is expected that these changes are associated with the presence of the sensor by which the screen of the smartphone will be able to recognize the pressing on force. Apple strengthened the thickness where there are volume buttons and locking switch devices - that is where bent iPhone 6 and iPhone 6 Plus. Also made a number of changes in the distribution of fasteners, allowing iPhone 6s will be stronger and more inflexible. It is assumed that the enclosure is made of a series 7000 aluminum - aluminum-zinc alloy. This material is 60% stronger and lighter than conventional aluminum alloys. Currently, a new development is used in smart watches Apple Watch Sport, successfully proving its impact. Already known for some preliminary information about the hardware of the new generation iPhone. It is expected that the gadget will be built on the basis of microprocessor Apple A9, and the device will increase the amount of RAM up to 2 GB. In addition, for the first time since the release of iPhone 4s will improve resolution of the camera - it is possible that the device will be equipped with 12-megapixel version, which can be used to create a spectacular, colorful photos and videos. It is expected that the official presentation of the new generation of iPhone will be held in the first half of September this year.